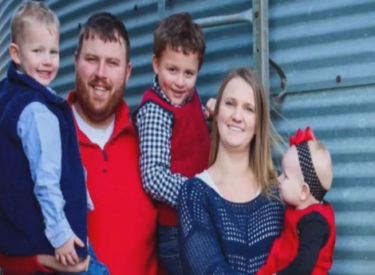 Officials say a Kansas firefighter, three of his family members and a family friend were killed in the weekend crash of a small aircraft near Ponca City. The Independence Rural Fire Department says Sycamore, Kansas, firefighter Nicholas Warner, two of his sons, his father Bill Warner and family friend Tim Valentine died when the aircraft in which they were traveling crashed about 10:45 a.m. Saturday in a soybean field northwest of Ponca City. Officials say the plane, registered in Kansas, was leaving the Ponca City airport when it suddenly lost altitude and crashed near Hubbard Road and U Street. The Oklahoma Highway Patrol confirms they were in town for the monthly fly-in breakfast, where pilots from all over the southwest gather at the airport. The victims are from Independence Kansas. 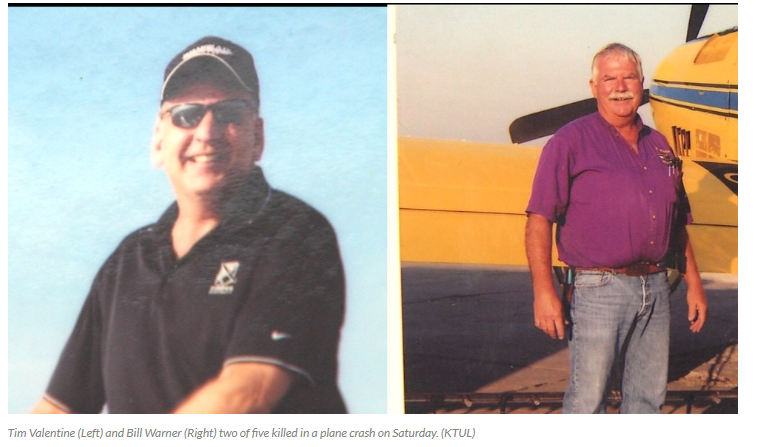 FAA records show the plane is registered to Jeremiah 29:11 Inc., a ministry run by Pastor Tim Valentine. National Transportation Safety Board spokesman Peter Knudson said investigators planned to wrap up the on-scene portion of their investigation on Monday. Investigators have been at the crash site since Sunday.